London – France’s three wealthiest families are coming to the rescue of a national icon, spearheading a fundraising drive to rebuild Notre Dame that has topped $700 million. 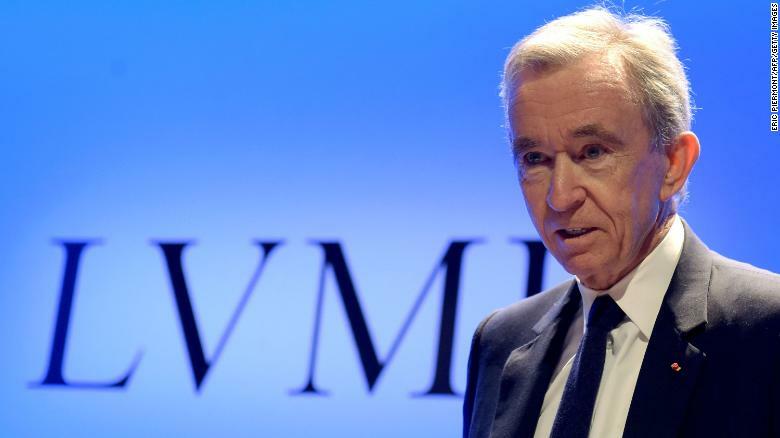 LVMH (LVMHF) and its CEO Bernard Arnault have promised €200 million ($226 million). The donation has been matched by the Bettencourt Meyers family, which controls L’Oreal (LRLCF). The Pinault family, which operates luxury conglomerate Kering (PPRUF), has pledged €100 million ($113 million). The three fashion dynasties have invoked patriotism and shared cultural identity in explaining their generosity following the devastating fire. Other French companies have also written big checks: The oil and gas company Total (TOT) has promised €100 million ($113 million), while tech and consulting firm Capgemini will give €1 million ($1.1 million). Combined with other donations from companies including French bank Crédit Agricole, the total amount pledged by business and wealthy donors has reached $700 million. The fashion house went on to describe Notre Dame as a “symbol of French heritage and unity.” LVMH said it would make its creative and financial teams available to help with rebuilding and soliciting donations. Arnault, its CEO, is the third richest person in the world, according to the Bloomberg Billionaires Index. His net worth comes in at $90.4 billion, more than that of Warren Buffett or Mark Zuckerberg. In addition to its fashion lines, LVMH controls high-end alcohol brands such as Dom Pérignon, Hennessy and Veuve Clicquot, as well as popular beauty retailer Sephora. LVMH chief executive Bernard Arnault pictured in 2018. Kering, which is the home for brands including Gucci and Yves Saint Laurent, was first out of the gate Tuesday with its donation. 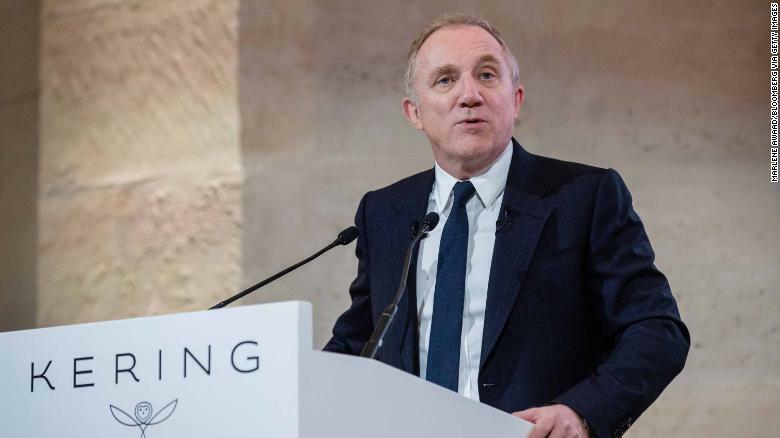 Francois-Henri Pinault, CEO of Kering, speaks during a news conference. The Pinault family is worth an estimated $37.3 billion, per Bloomberg. François-Henri Pinault, who manages the family’s businesses, is married to actress Salma Hayek. Kering also owns fashion brands such as Alexander McQueen and Balenciaga. The Bettencourt family owns a 33% stake in L’Oreal, which controls brands like Maybelline, Lancome, Garnier and Kiehl’s. Francoise Bettencourt Meyers, the richest woman in the world, is worth $53.5 billion, according to Bloomberg. She inherited the stake from her mother, Liliane Bettencourt, who died in 2017. Bettencourt Meyers is the granddaughter of the company’s founder, Eugene Schueller. The process will be expensive and lengthy, and it could take time to begin in earnest. Immediate steps will need to be taken to prevent further damage, since the structure is now particularly vulnerable to water damage. It’s tough to estimate the total time and cost of the restoration. The Venice Opera House, which was gutted by a blaze in 1996, reportedly reopened eight years later after €60 million ($68 million) was spent. When Windsor Castle, one of Britain’s royal residences, was severely damaged in a fire in 1992, it reopened nearly five years later at a cost of £36.5 million ($47.8 million).